I hope you are enjoying the revised format of Width of a Post. Although we are writing fewer articles I would like to think we are still maintaining a high level of quality, and the feedback I’ve been receiving suggests this. From my point of view, the step back of WOAP was exactly what I needed at this stage of my life. Over the last few years I’d put myself under a lot of pressure to keep the site going to the standard of before in terms of how often we publish articles. It had reached the point where it was seriously reducing my enjoyment of going to games. Rather than get caught up in the emotions we football supporters are supposed to feel, I’d be too preoccupied fretting over what to write about when I got home. WOAP had turned into a job when it was supposed to be a bit of fun. So now with the site scaled back I am once again really enjoying going to games as a fan, and the balance of work and family time feels a lot better. All of which is a long-winded way of asking you for a favour. With the site’s evolution just about there and our readership in tact, I was hoping that – if you still enjoy what we do – you would consider voting for us in this year’s Football Blogging Awards? In 2013 we were utterly shocked and thrilled to win Best Established Blog, beating off some notable competition. We were shortlisted again for this award in 2014. 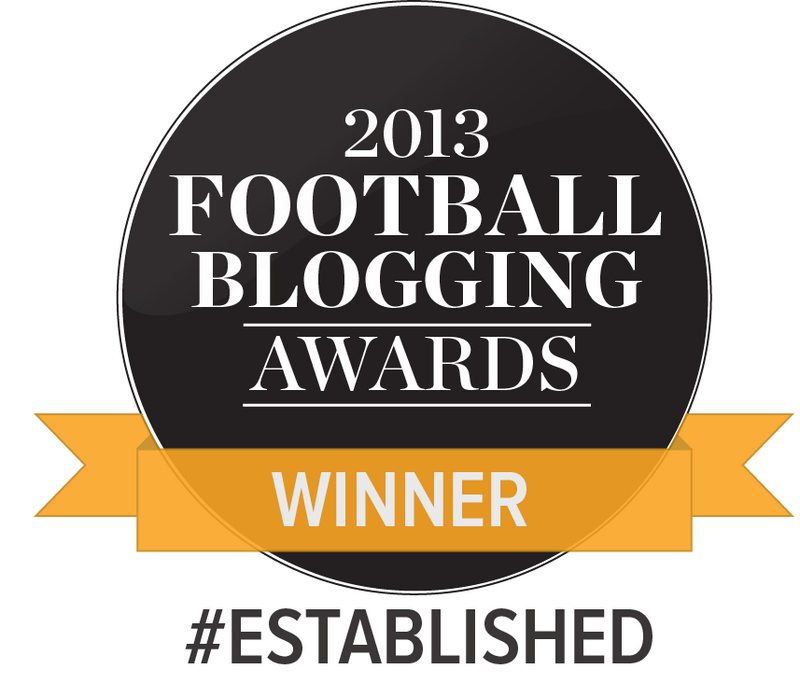 We were also shortlisted in 2013 and 2014 in the Best Football Club Blog category. In 2015 we didn’t enter as I was writing Reinventing Bradford City. For this year’s Football Blogging Awards, the Best Established Blog category has been retired and so I’m hoping we can go for third time lucky at Best Football Club Blog. The nominations opened on Monday. There are different ways you can nominate WOAP for Best Football Club blog. A team of judges – which includes national newspaper journalists – are also going to review blogs to vote for their favourite. If you want to put us forward for judging on the basis on an article or two you enjoyed, please click here. You will need to include the URL of the article(s) you think they should judge. And don’t forget to vote for Bantams Banter too! We’re really pleased to see our good friends Bantams Banter return to podcasting on a regular basis. Their huge success since launching the show in 2010 is testament to Dom and Tom’s dedication and natural broadcasting talent, and like us they were winners of Best Podcast in 2013. The pair are entering again this year, so please vote for them too for Best Podcast. Let’s go for a Bradford City double! Voting closes on September 26. ‹ What have we learned so far? Done. I don’t know about the competition countrywide, but you are my window on Bradford City. We overseas fans really value you. Done.Always enjoy reading the WOAP articles!As a previous reply said ” our gateway to Bradford City for overseas fans”.Keep up the good work Jason and co-writers and thanks for all the very informative articles,long may they continue. 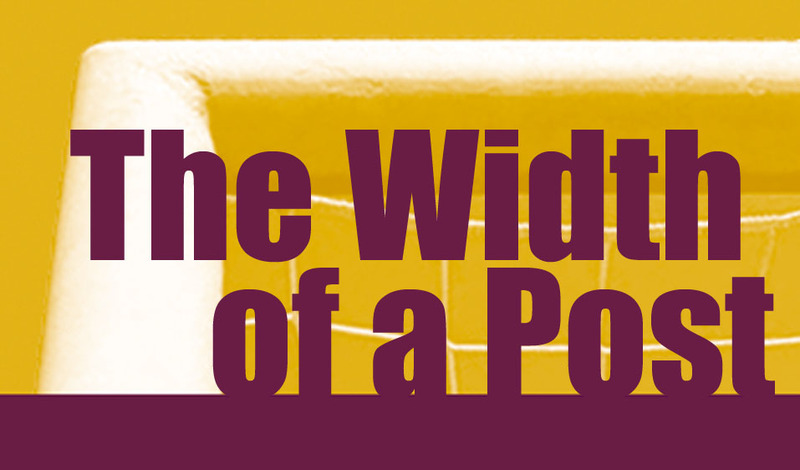 I have just registered my vote for Width of a Post. Good luck to WOAP team. I appreciate your wonderful website. Only too happy to oblige. Always enjoy articles on WOAP from the various authors. Always thought provoking and interesting.